View all current homes for sale in Seven Springs, Greenacres, Florida. Click on a listing to the view property details, photos and maps. If you would like to change or expand your search criteria, go back to the Greenacres search page, or try using our Advanced Search. 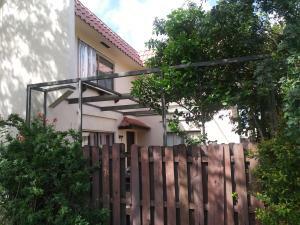 Great townhouse with fenced in patio area! Come inside and enjoy spacious living areas along with an inviting kitchen. This townhouse offers 3 spacious bedrooms with one bedroom situated on the 1st floor along with a full bath. Outside you can enjoy a private, open patio that is fenced in. The low HOA fee includes cable, front lawn maintenance, common areas and exterior building insurance. Seven Springs is centrally located just minutes from the Turnpike, I-95, Wellington, Downtown West Palm Beach, area beaches and 3 international airports. AS IS. SHORT SALE. THIRD PARTY APPROVAL IS NEEDED. NICE TOWNHOUSE.TERRIFIC END UNIT TOWNHOUSE ON CANAL - LARGE TILE SCREENED PATIO WITH BUILT IN BBQ GAS GRILL.NICE FLOWERS WELCOME YOU ON THE FRONT. For more information about buying or selling property in Greenacres, please feel free to email or call us at 954-720-7111. We are here to help!